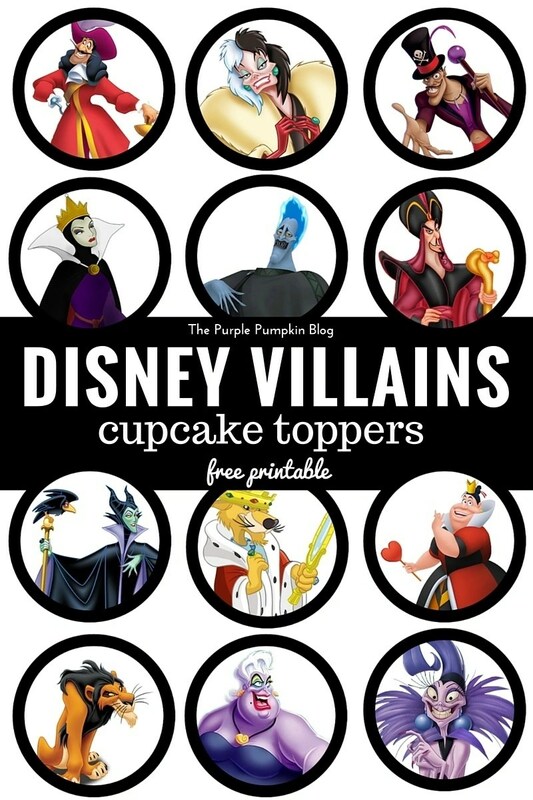 Disney Villains Cupcake Toppers - Free Printables! They are all included in the one PDF document which you can download and print at home for personal use. There is one mixed sheet with the 11 Disney Villains cupcake toppers, and then a full sheet of 12 of each design, so you can mix and match and print off as many as you need to! Simply print as many as you need onto thick white paper or thin white card. Carefully cut with scissors (or with a 2″ round cutter if you have one), and mount onto a cocktail stick. Poke into a cupcake and you’re done! Thanks for reading Day 90 of 100 Days of Disney 2015! 10 to go! Come back tomorrow for another Disney post!